Often translated as the Dragon Boat Festival, Duanwu is the only festival in China that commemorates the death of a poet called Qu Yuan (340-278 BC). The author of “Li Sao” (Lament), Qu Yuan is remembered in Chinese culture as a great patriot and more importantly as the Father of Chinese poetry. In the last 2300 years after him, the sound of his poetry has been an abiding influence, and much of what he wrote remains a part of contemporary Chinese idiom. 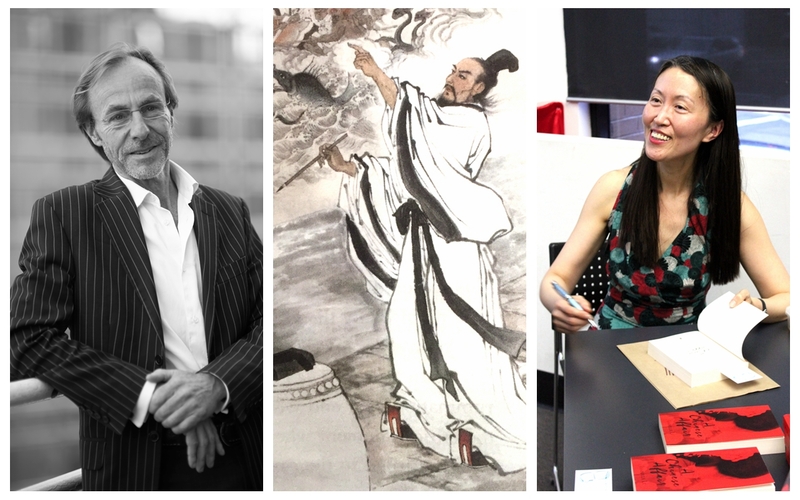 To mark this occasion this year, ACIAC is inviting two Australian writers, Isabelle Li and Mark Tredinnick, to do a poetry panel to have a conversation on the nature of poetry writing and poetry translation. Poetry says the unsayable world, the innately contradictory and mysterious felt sense of human existence. Most poets can write in only one language—their mother tongue. And it is often said that what finds utterance in a poem can be said in no other way. How is it, then, since each language is its own world (of metaphors and epistemologies and convention), that a translator can hope to catch in another tongue what is uttered uniquely in the poet’s own? What many poets would aspire to in a translation of their work is that the poem in its host language will be at least equal to, if different from, the poem they wrote in their first language. But can the translated poem ever translate into a host language the lifeworld that is presented uniquely in the poet’s native idiom? Can the translated poem be more than merely equal to the original poem, but still remaining true to it? Can a translation find things in the original poem lost even to the maker of that poem? Limited seats. RSVP Essential. Please RSVP HERE (opens in a new window) before 13 June, 2018. Mark Tredinnick—whose many books include Almost Everything I Know, Bluewren Cantos, Fire Diary, The Blue Plateau, and The Little Red Writing Book—is a celebrated poet, essayist, and writing teacher. “One of our great poets of place,” Judy Beveridge has called him. His honours include the Montreal and Cardiff Poetry Prizes, The Blake and Newcastle Poetry Prizes, two Premiers’ Literature Awards, and the Calibre Essay Prize. The Blue Plateau, his landscape memoir, shortlisted for the Prime Minister’s Prize. He travels and teaches widely, in schools and at festivals, through Australia and in the US, China and the UK. He also works with the corporate sector to explore the truths and graces poetry gives access to. In 2016, his poem “The Horse” won the ACU Poetry Prize; in March 2017, his poem “Panic Very Softly, Love” won the Ron Pretty Poetry Prize. In 2017, too, he judged the Montreal and Blake Poetry Prizes. His poem “The Habit of Wings” appeared in Best Australian Poems 2017. Andrew Motion has written of Mark Tredinnick: “his is a bold, big-thinking poetry, in which ancient themes (especially the theme of our human relationship with landscape) are recast and rekindled.” He is at work on a memoir of the reading life, Reading Slowly at the End of Time. His next Australian collection of poems, Walking Underwater, will be published by Pitt Street Poetry in 2019; a fourth collection, A Beginners Guide, appears in the US (Hip Pocket Press) later that same year. He’s just finished a collaboration, A Hundred Miles From Home: One Hundred Haiku, with poet Peter Annand. His essay, “The Temple of the Word,” on the healing, hearthing work of poetry and place, appears in the anthology Hearth, edited by Annick Smith and Minette Glaser, with an introduction by Barry Lopez, in mid 2018 (Milkweed). Mark Tredinnick is the father of five. He lives and writes at Picton. He teaches at the University of Sydney and UTS. And he curates events and workshops, including his own, at the Wedderburn Writers’ Rooms for WestWords. In 2018, he is the Writer in Residence at the Department of Education and Social Sciences at the University of Sydney.